Born on Staten Island, N.Y., Linda was the second child of the Rev. Dr. Edward O & Jo Ellen White. She grew up in Akron, Ohio, with her older brother, David, after their father retired from the Army. She graduated with a bachelor of science degree in journalism from Ohio University in Athens. 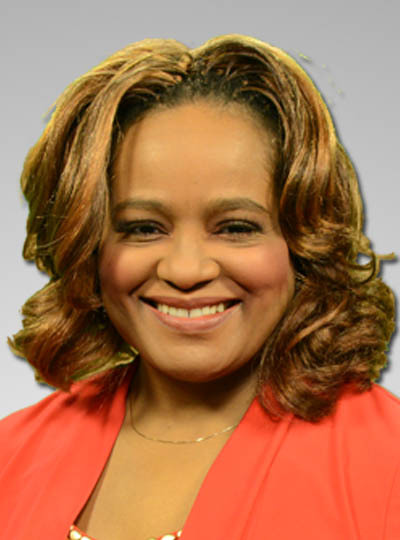 Before graduating college, Linda began her journalism career as a reporter at WAKC-TV 23, an ABC affiliate in Akron, Ohio. She worked there for five years as a court-crime beat reporter and morning cut-in anchor. Linda went on to the NBC affiliate in Grand Rapids, Mich., where she worked as the noon co-anchor and parenting reporter. There, Linda became a mom when she adopted her daughter and enjoyed community service at her church, as a board member for several organizations and doing motivational speaking to various groups. After eight years, she moved on to Buffalo, N.Y. to work at the ABC affiliate. Linda joined our team in October 2004. Since arriving, Linda has covered several beats including health and education, but is excited to become a member of the Alabama’s 13 Investigates team. Linda enjoys living in Hoover, with her now-19-year-old daughter and their two Chihuahuas. She continues to be active at her church, Sixth Avenue Baptist, in the community and you can typically catch her on the weekends, riding her bike in Bluff Park.